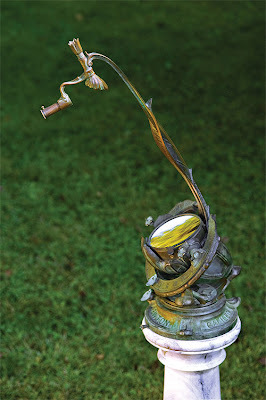 ...the Porter Garden Telescope. 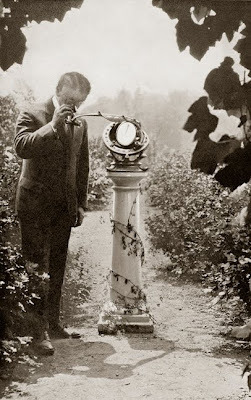 Russell Porter was an artist, engineer, and amateur astronomer/telescope maker, and in the 1920s in Springfield, Vermont he made some number (at least 53, according to the highest serial number found, but the exact count is unknown) of what must surely be the most beautiful telescope ever manufactured, designed specifically for the garden. Only 14 are known to survive, one in the Smithsonian museum. Porter combined all he knew of art and science in an art nouveau style masterpiece made like an unfurling flower with a mirror at its heart. 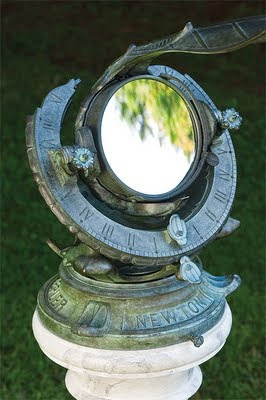 The bronze housing was designed to remain outside, mounted on a plinth like a traditional garden sundial (if oriented correctly it could in fact operate as one) and the optical components were removable, to be used for viewing biplanes and other heavenly apparitions if the weather was fair and kept safely inside if not. 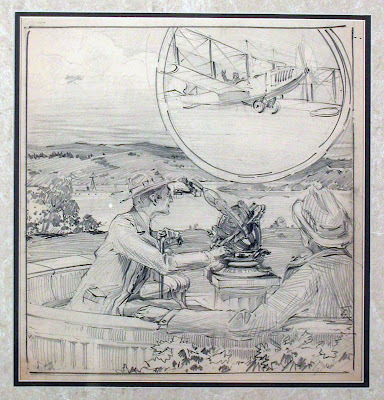 An original Porter sold for $18,000 at auction in 2007. 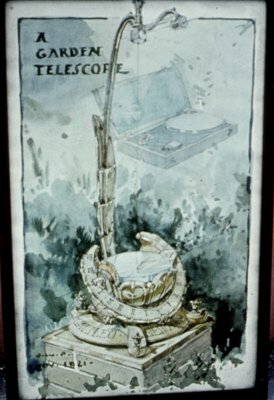 It was an absolute steal...the reproduction being manufactured by Telescopes of Vermont according to specifications in Porter's original patent, sells for $59,000. What a remarkable thing! Thank you for bringing it to my attention. I enjoy your blog. LOVE this post. I need one of those! Very nice weblog. I am very curious about this patent drawing of Porter's. Thisapears to be a refractor version of the original Newtonian.